Newsdog App loot, Newsdog App refer code, Newsdog App refers & earn: hi, readers. i am back with a new app that gives paytm cash offer.Newsdog App is here come up with New Refer and earn an offer, where you can earn Rs 50 Paytm Cash on Signup and Rs 10 to 15 per refer. Minimum redemption amount in Paytm Is Rs 250. So hurry up and loot this offer now. 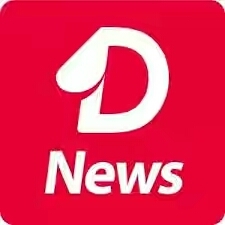 About NewsDog App: NewsDog is the SMALLEST India news app that keeps you informed of a variety of latest India news. It brings you millions of latest news such as cricket live score, cricket news, local news, Bollywood news, horoscope, job news, weather forecast, lifestyle news, national news, car news tech news, beauty tips and more, from more than 1000 top media and newspapers. Once your friend downloads the app through your referral link you will get Rs 10-15. Minimum Redemption Paytm cash Rs 250.
signup balance would be credit in newsdog or paytm?